Good Morning everyone! I haven’t participated in a Top 5/10 Tuesday in a few weeks, and thought it would be a great idea this Tuesday since the topic is something I feel strongly about in the book world! For those of you that are unaware, Top 10 Tuesday is a weekly blog meme hosted by The Broke & The Bookish, where book bloggers get to highlight their top 10 choices for the topic that the lovely people at B&B choose for the week. Yes, the meme is supposed to be Top 10, and yes, I only do 5. I find that since I am relatively new to book blogging and bookstagramming, I can get more quality into my Top Tuesday posts with only five in my list, and have resolved to grow my lists as I grow my blog. So, with all of that nonsense out-of-the-way, the prompt for today’s post is: Audio Freebie! I love audio books, and I feel like they do not get as much credit as they deserve. Mostly I think people are intimidated by audio books, especially if they are strong visual learners. Well fear not my friends. 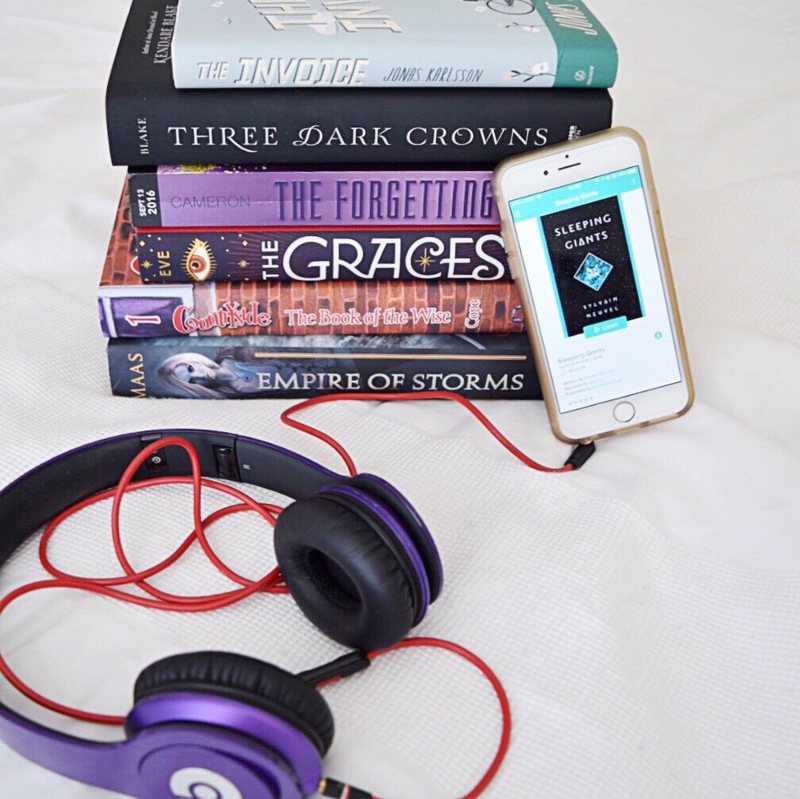 I am coming to you today with 5 reasons why you should give audio books a try, even if you think they are just not for you.